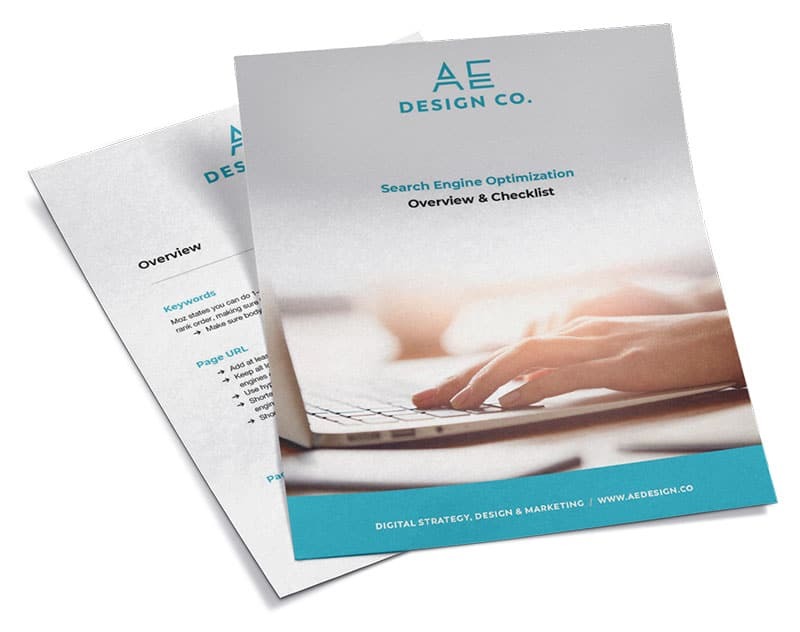 SEO Checklist | AE Design Co. Enter your email address to immediately download the checklist. After downloading this guide, you'll also receive "not too often" helpful marketing and design tips & tricks in your inbox.